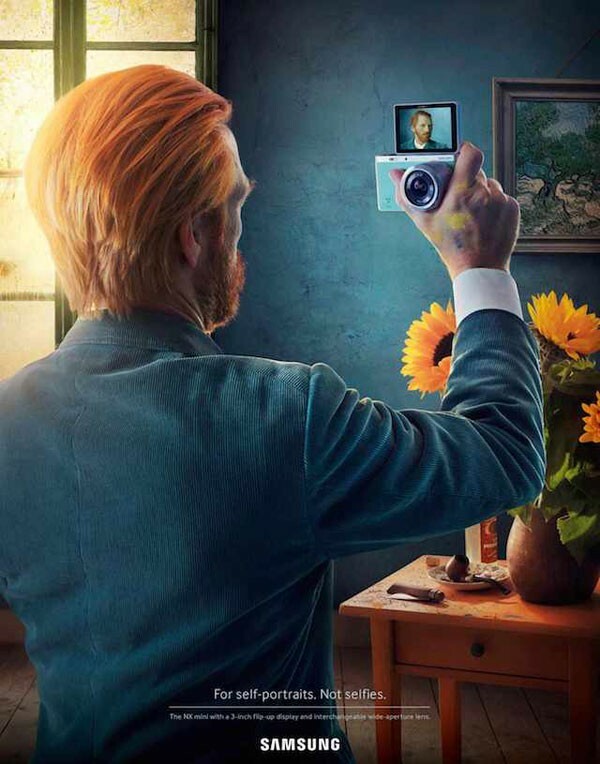 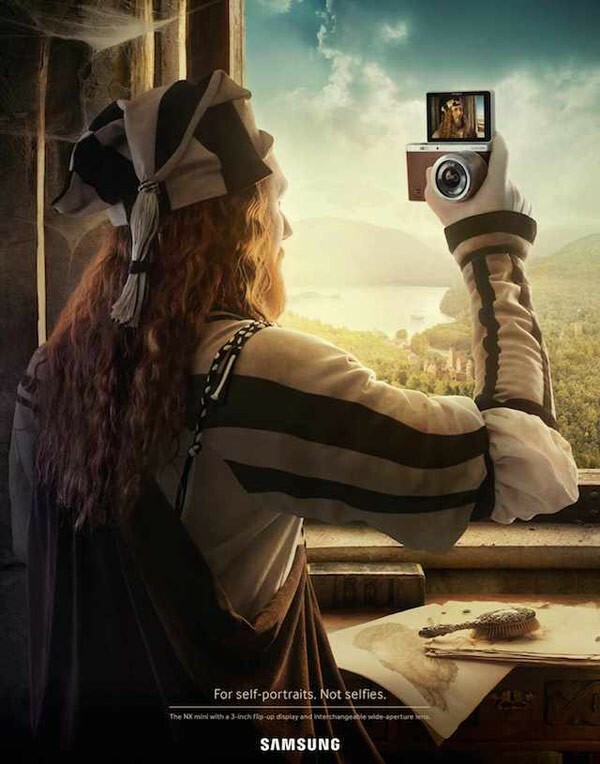 Three posters featuring iconic artists Albrecht Dürer, Frida Kahlo, and Vincent Van Gogh snapping their picture using Samsung NX Mini camera. 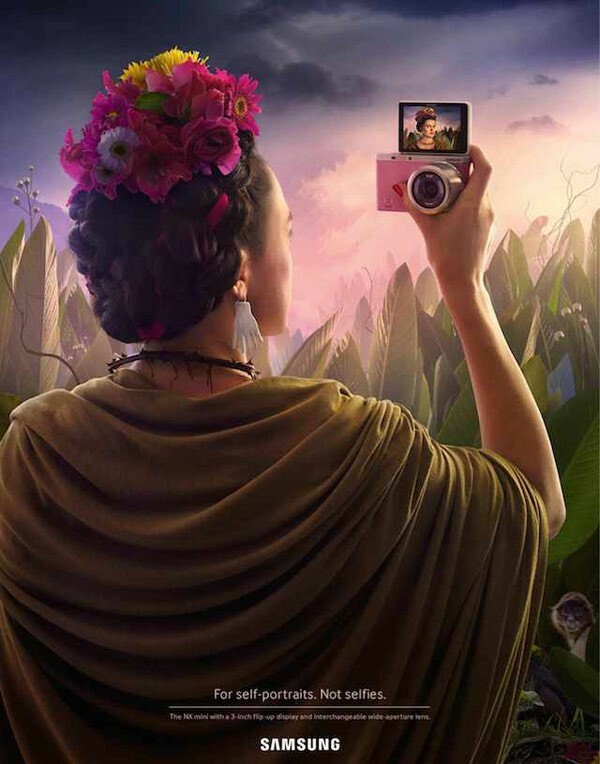 The tagline for the campaign is For Self-Portraits. 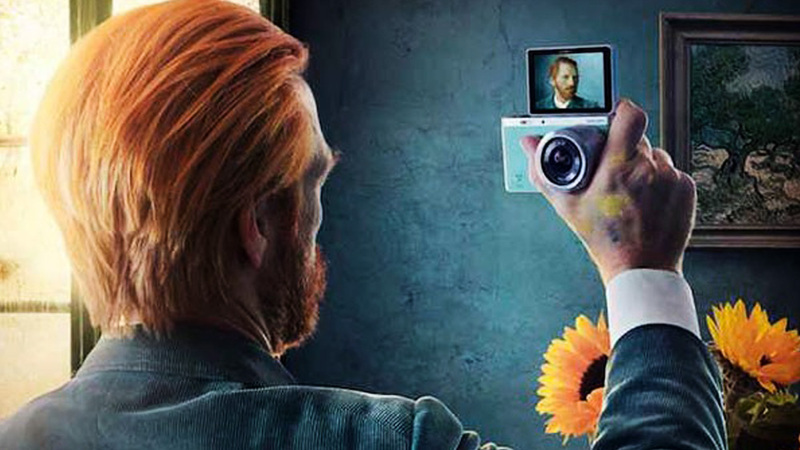 Not Selfies.